A federal judge on Wednesday approved a plan that says it won't be mandatory for Texans to present an ID in order to vote in the November general election. The sweeping changes OK'd by U.S. District Judge Nelva Gonzales Ramos come a month after a federal appeals court found the state's voter ID law — which was passed by the Legislature in 2011 and went into effect in 2013 — to be racially discriminatory. 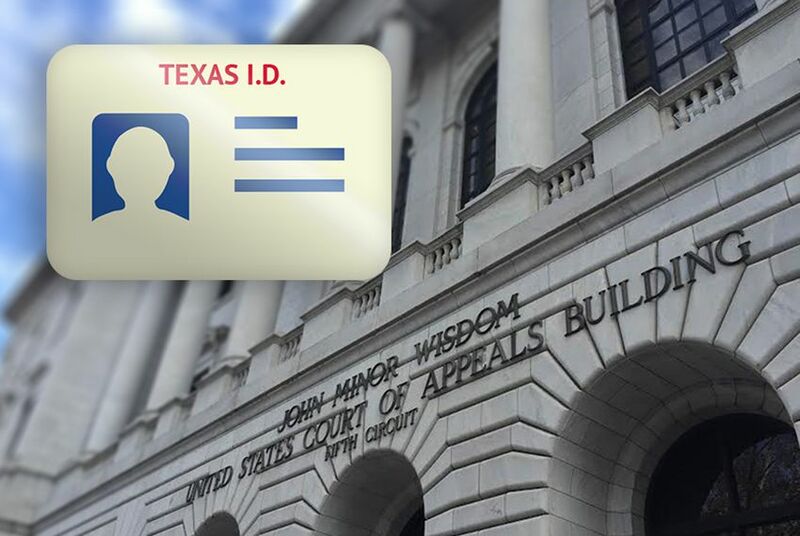 Under the agreement reached by Texas officials and groups suing the state, anyone without an ID can sign a declaration stating a "reasonable impediment" prevented them from obtaining one and present proof of residence, such as a utility bill, bank statement or paycheck. "Certainly what happened today in court was a victory," said Jennifer Clark, an attorney at the New York-based Brennan Center for Justice, who represented plaintiffs in the case. "This is the first time in three years voters will cast a regular ballot in November. It’s a huge victory." Gary Bledsoe, president of the Texas NAACP chapter and an attorney in Austin, called the decision "a big step in our continuing fight to push back against discriminatory laws that have no place in the Lone Star State." The voter ID law, championed by state Republican lawmakers, requires voters to show one of a limited number of government-issued photo IDs to vote, including a state driver’s license, a passport or a concealed carry handgun license. They argued that regulations are essential to combat election fraud. However, critics said the law is intended to suppress voter turnout among Democratic-leaning constituencies, including minorities, students and the elderly. They said more than 600,000 eligible Texas voters lacked the forms of identification the law requires. Texas Attorney General Ken Paxton, a staunch supporter of the voter ID law, signaled that he won’t give up the case any time soon. The legal battle over what is said to be the nation’s strictest voter ID law has already cost state taxpayers more than $3.5 million. "This case is not over," Paxton’s spokesman, Marc Rylander, said in a statement. "Given the time constraints of the November elections and the direction of the Fifth Circuit, today's order by the district court is an interim remedy that preserves the crucial aspects of the Voter ID law for this November election, while we continue evaluating all options moving forward, including an appeal of the Fifth Circuit’s decision to the U.S. Supreme Court." Wednesday’s agreement comes in the wake of a string of recent court decisions in other states weakening voting restrictions ahead of this general election. Courts ruled that Texas and other states have passed restrictive laws that attempt to disenfranchise minorities and students. Texas' ID law was blocked by the U.S. Department of Justice and a federal court in 2012, but it went into effect in 2013 after the U.S. Supreme Court struck down a core provision of the Voting Rights Act. The ruling by the high court means Texas and other states with a history of racial discrimination no longer automatically need federal consent before changing their election laws. Texas also agreed to spend $2.5 million on voter education efforts to ensure that residents and poll workers know about the policy change before Election Day. Clark said Texas attorneys also proposed language that would have allowed someone to vote after swearing or affirming under penalty of perjury that they do not have a state voter ID. The judge struck down that proposal, which Clark called “intimidating” and unnecessary. "We should make voting a welcoming experience and make people feel they have a right to vote," Clark said. She added that attorneys representing the plaintiffs will closely monitor the case because they expect "there will be a lot of things happening after the election."